Winter's Here - Brrrrr! It Is So Cold! The days are much shorter than at other times of the year and the actual amount of direct sunlight is at its lowest. 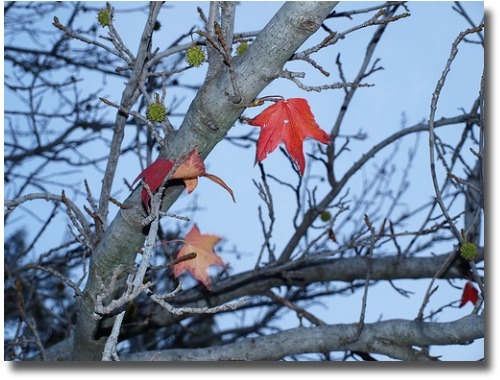 In June, Melbourne's weather has turned cold with the start of the Winter season. 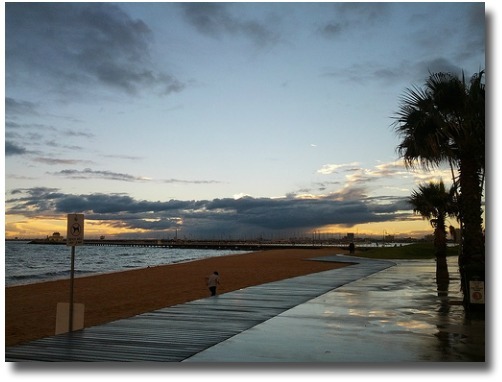 During the Melbourne weather in June the sun becomes lower in the heavens and the morning and early evenings are usaully filled with frosts. Most of the deciduous trees that line the suburban streets have lost their leaves and are resting up till Spring. 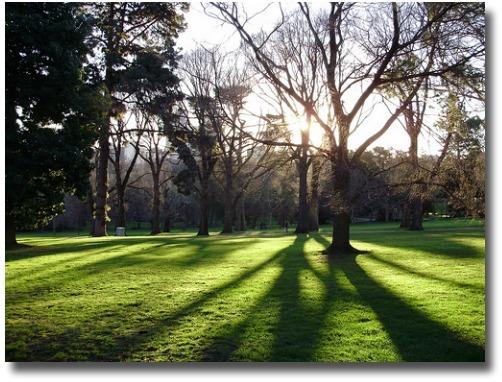 However walking in the parks and gardens on a clear day can be a delight as the rays of sun stream in through the bare branches creating a beautiful and peaceful visual pictures. The Official Queens Birthday is celebrated on the second Monday in June and this long weekend is the perfect opportunity to attend a Fair Dinkum(real) Aussie Rules Footie match! The 2 major rival teams that have traditionally played on this Monday are Collingwood and Melbourne. 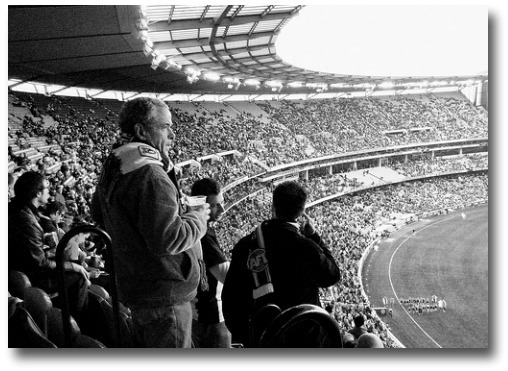 The game is played at the MCG and if you do get the opportunity to see the match it is well worth it, even though the Melbourne weather in June can mean that it can get quite cold, in fact quite freezing! Whatever you do make sure that you have some warm clothes to wear as the temperatures can drop very low very suddenly. 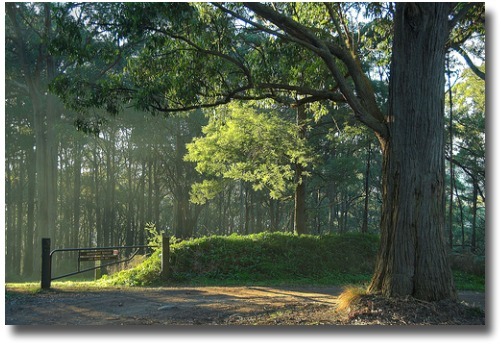 The Dandenong Mountains are lots of fun in the winter months with all the parks and gardens open to the public to enjoy a picnic family BBQ. There is nothing like the combination of the smell of sizzling sausages and the fresh mountain air. Drop some eucalyptus leaves onto the hotplate and smell the Australian bush...nothing like it! 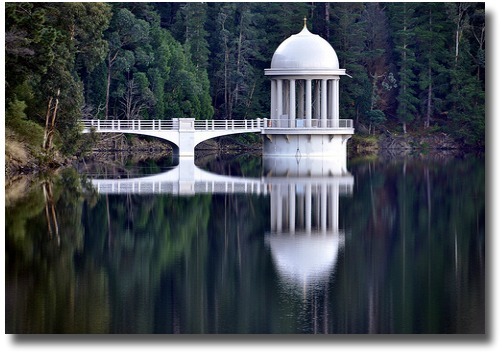 Walhalla is situated deep in the Baw Baw ranges east of Melbourne, Victoria. 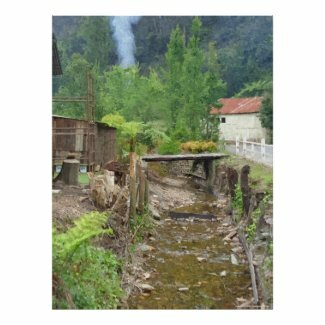 A fantastic destination for tourists and locals alike offering a trip back in time to days when settlers' modern huts and home made brews were the talk of the town. This photo was taken in 2014 and using the photo editor 'Fotosketcher' I have produced an oil painting effect. This poster is part of the series on 'Landscapes and Nature'. 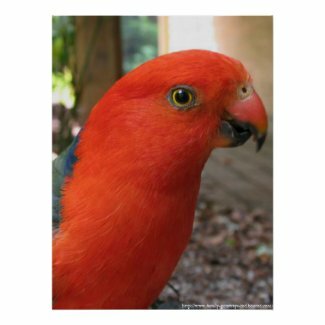 This poster forms part of the Australian Native Bird Series that I am putting together. Why not gather the series as they would make for beautiful gifts or framed as part of your home or office decor. The Melbourne weather in June is the perfect month to take the family on a ride through the Dandenong mountains on the world famous Puffing Billy steam train. 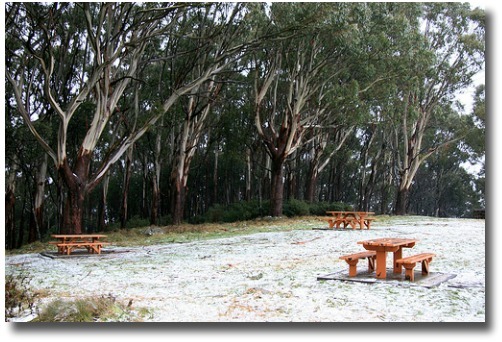 June also marks the opening of the Ski Season and if you are lucky sometimes it can get so cold here in Melbourne that we actually get to see snow in the mountain ranges that surround the city. Something the suburban children love to experience. 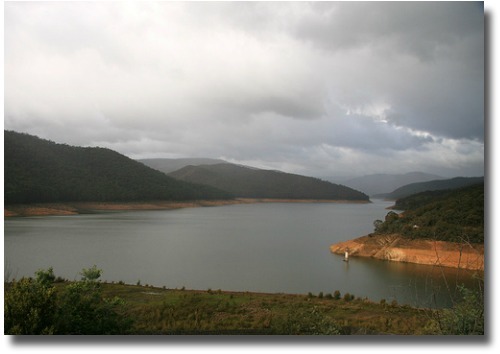 Another great place to picnic with the family for free is at the amazing Maroondah Dam, a great destination for Tourists and locals. The water level dropped considerably from 2007 onwards. However 2012 sees the level at well over 70% capacity. If you are interested you can keep a check on the water storage levels here. And of course Melbourne beaches are great places to wander on a clear day during the month of June. The Melbourne weather in June still provides some clear, blue skies to enjoy a great day out. The children love the beach in any climate. These are my favorite places to visit Summer, Winter and in between. 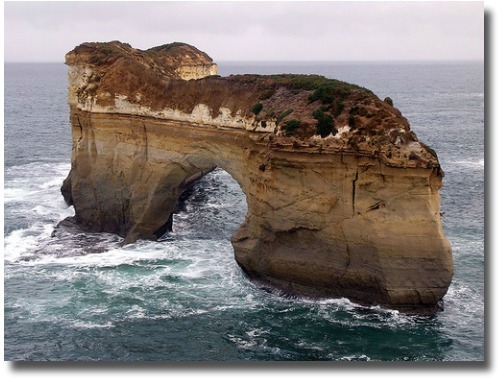 Perhaps enjoy a 2 day weekend away on the Queen's Birthday Weekend down the Great Ocean Road. So much to see and do along this amazing stretch of coastline. As in other months because the Melbourne Weather in June is so changeable the best thing to do is be prepared for all contingencies. If you do intend to brave the cold then check out the Melbourne weather forecast for a good indication of what weather to expect. What's the weather like at Easter in Melbourne? 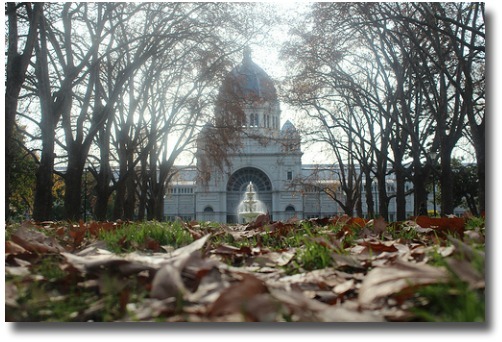 Is the month of May warm in Melbourne?